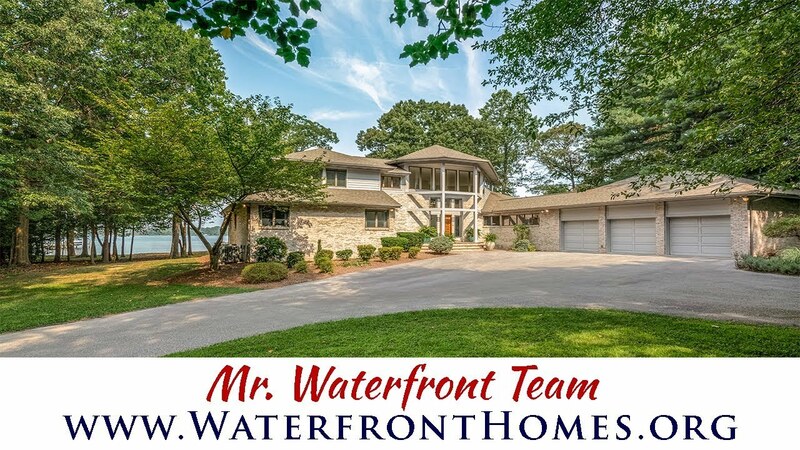 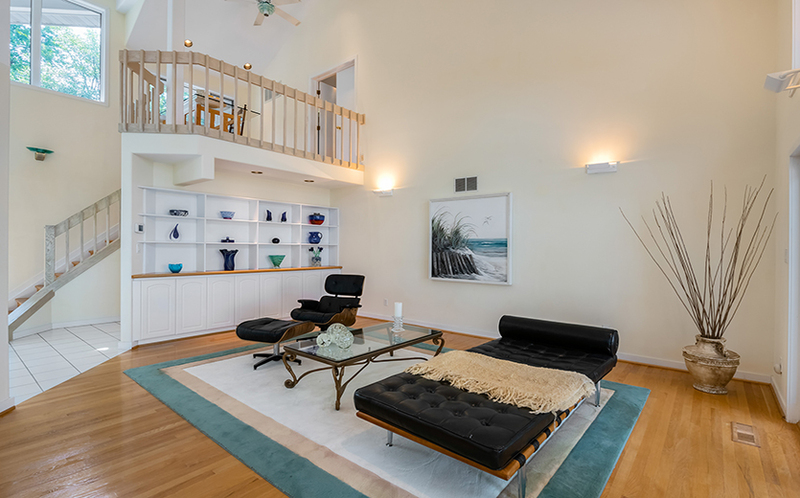 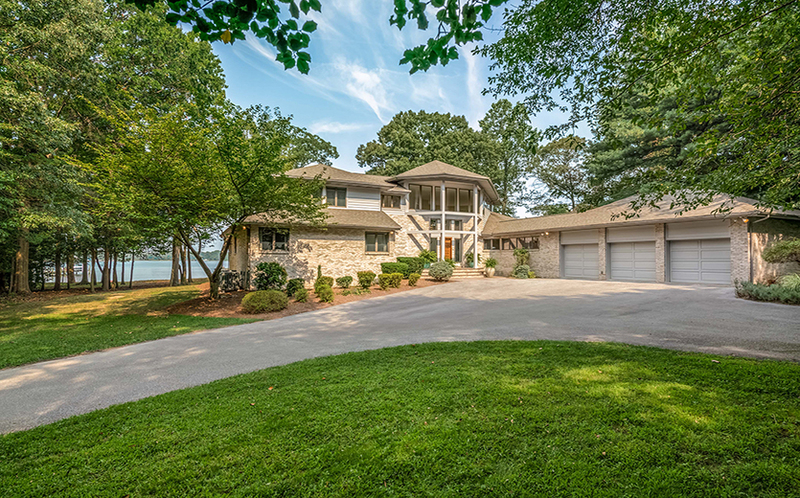 8132 Pinehurst Harbour Way is a stunning almost 5,000 square ft contemporary home with 185 feet of sandy beach waterfrontage on protected Bodkin Creek. 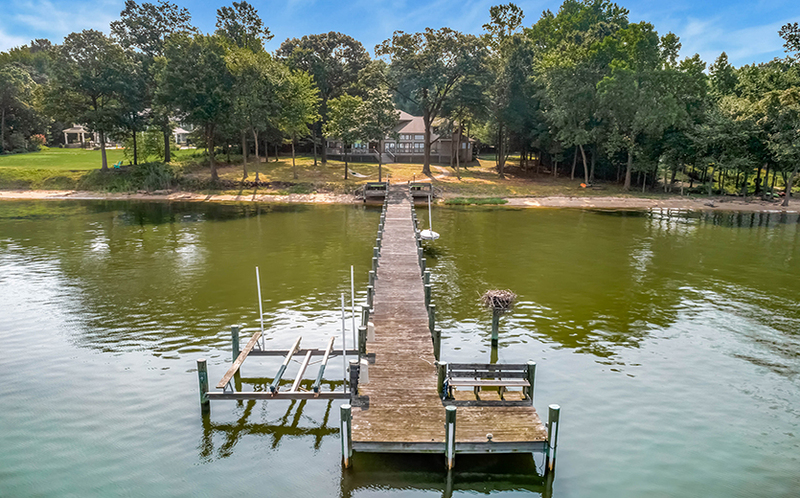 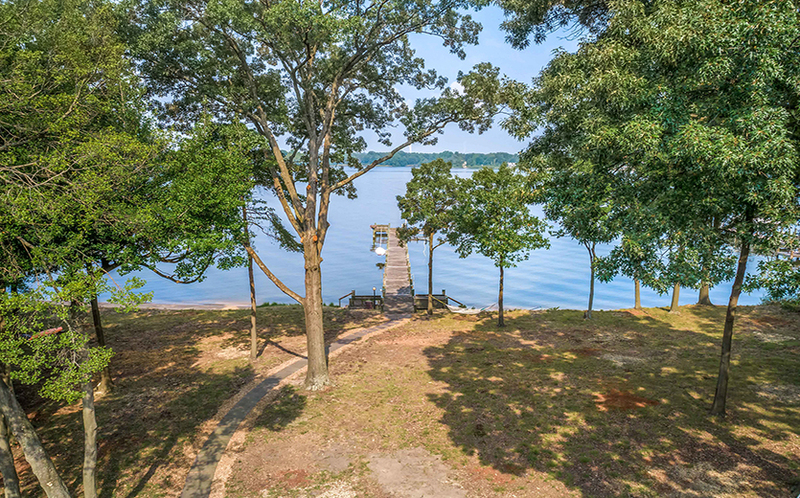 Dock your boat at your own 8-foot wide private pier with 12,000 lb boat lift, jet ski lift, water, and electricity, or launch your kayak or paddleboard from the sandy beach. 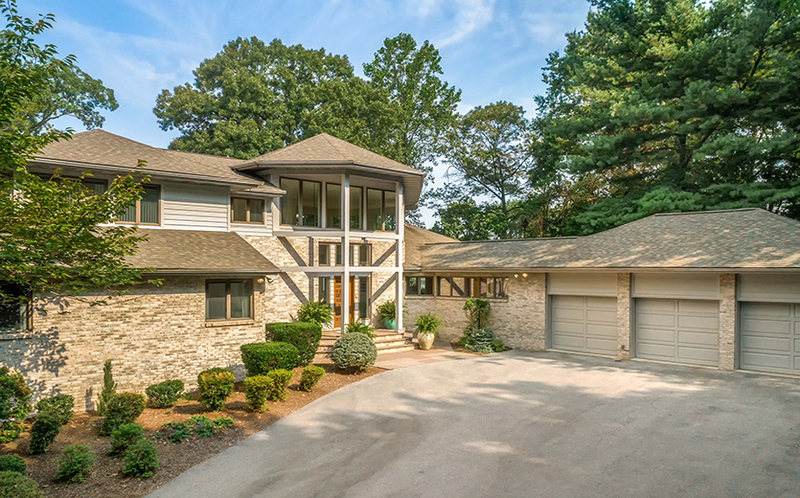 The long, tree-lined driveway provides a stately entrance to this wooded, 3.23-acre setting in the gated community of Bodkin Pointe. 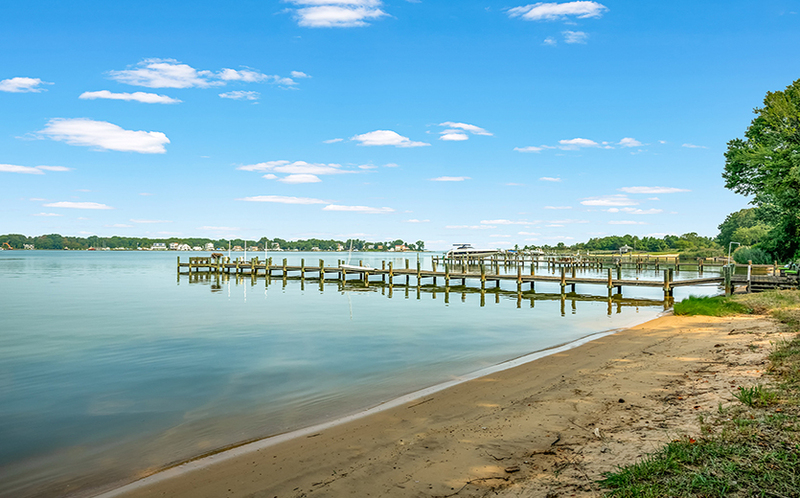 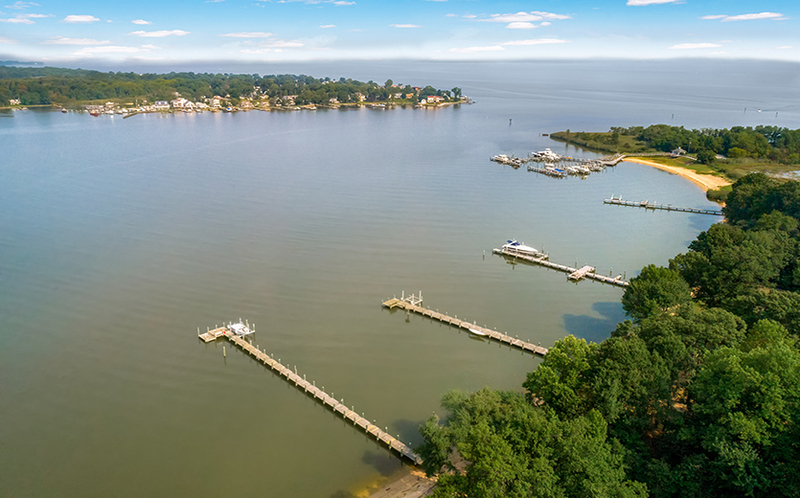 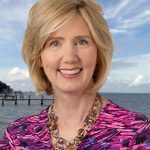 Take advantage of the community tennis court, or walk to the deep-water community marina located just about 100 yards from the open waters of the Chesapeake Bay. 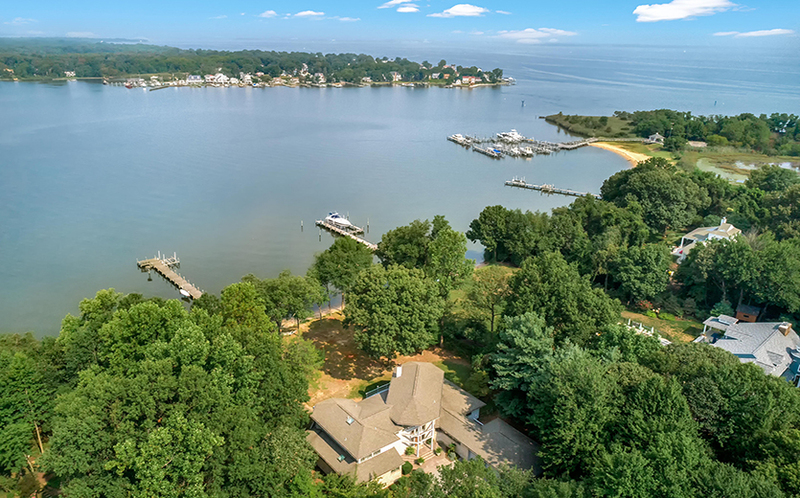 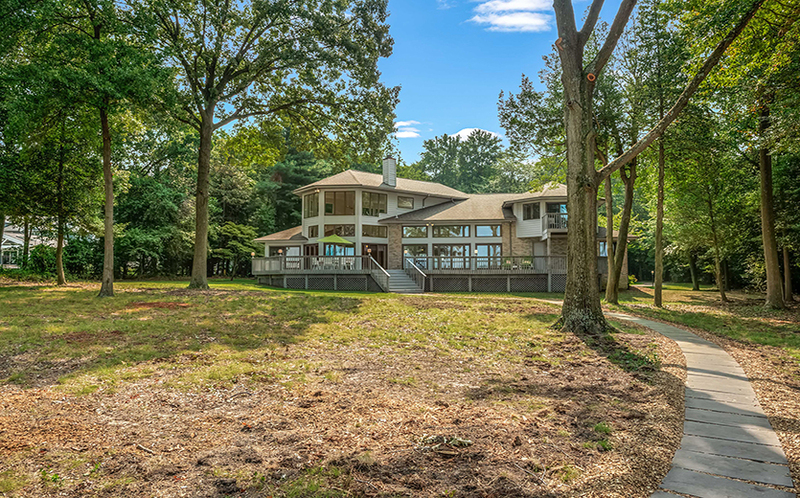 Enjoy the expansive views of Bodkin Creek and the ocean-going ships heading to Baltimore from nearly every room in this home. 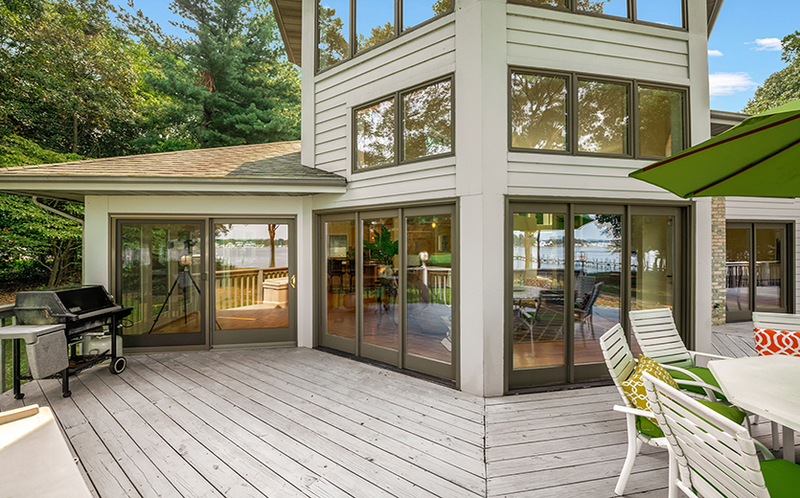 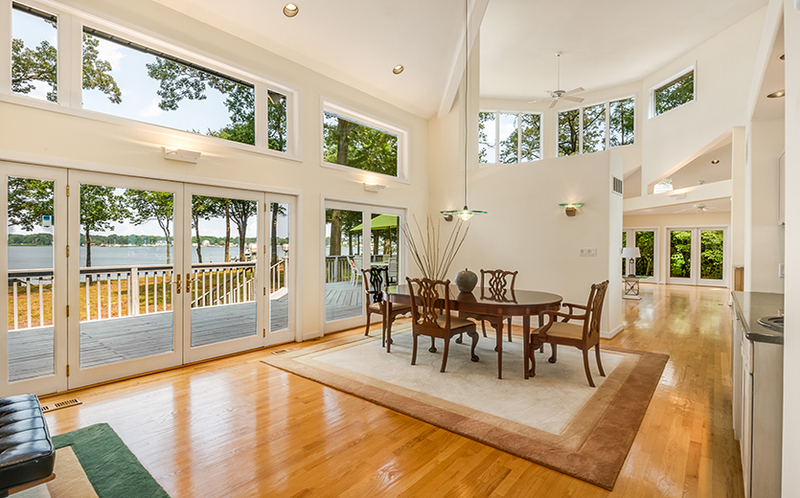 As you step inside the two-story foyer your gaze is drawn to the wall of glass that opens to the waterside deck. 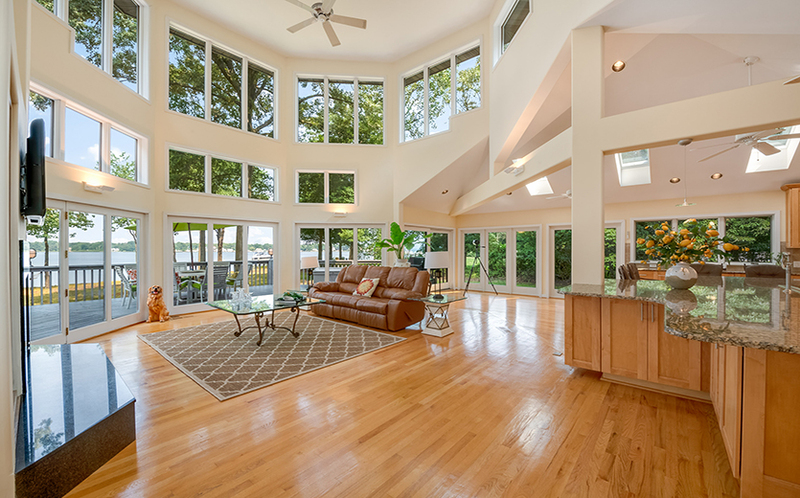 Three levels of glass and skylights bathe the home in natural sunlight and allow for views of natural wildlife including osprey, hawks, and heron. 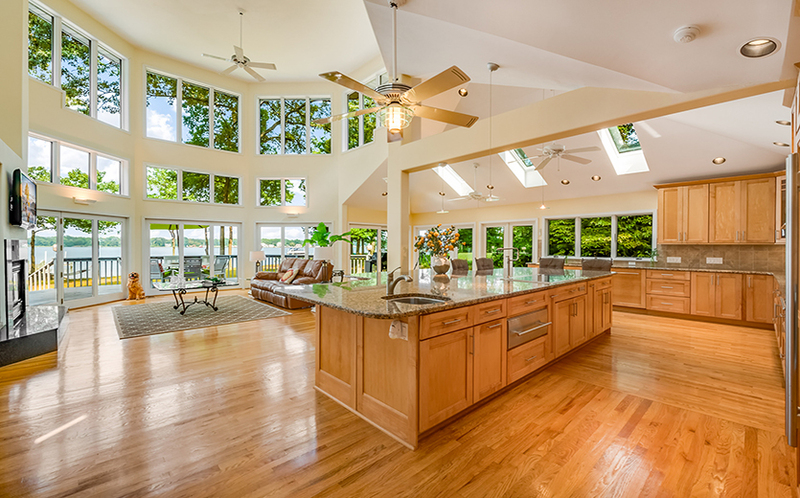 Just off of the foyer, the spacious and unique kitchen has a high ceiling and walls of windows allowing for tremendous open water views. 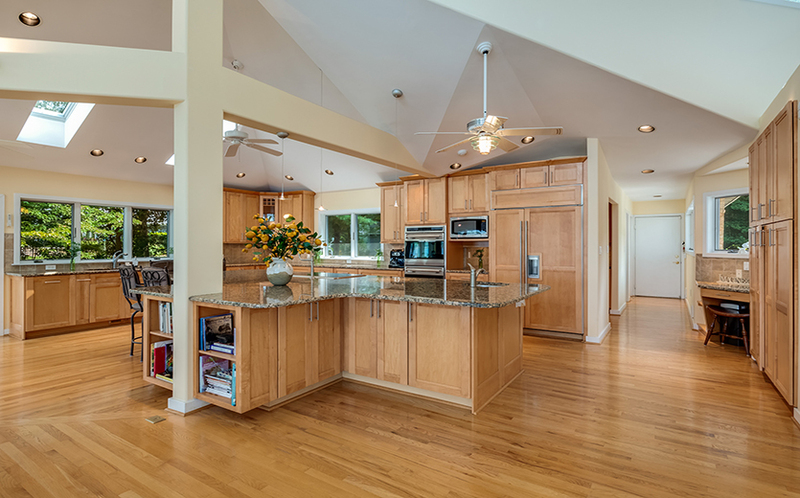 The meticulously designed gourmet chef’s kitchen boasts an 18 by 15-foot center island with built-in bookshelves, granite counters, pot filler faucet at the cooktop, large prep sink with disposal, ample space for seating, and a built-in central vacuum sweep. 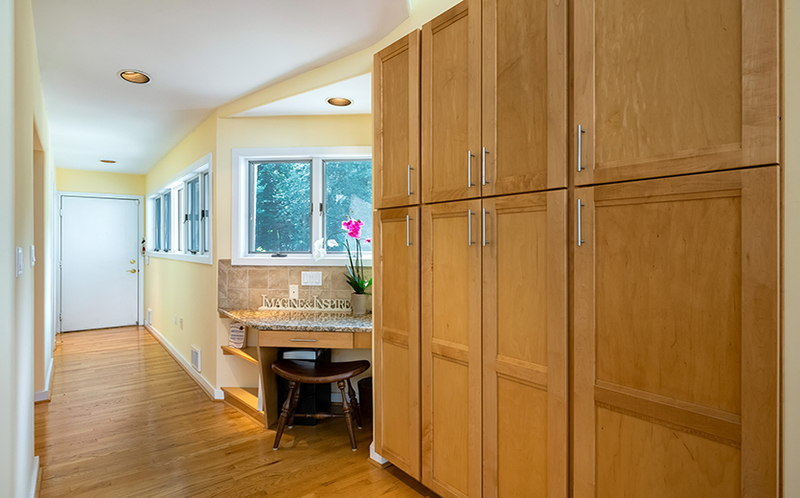 There is an abundance of storage with soft-close drawers, built-in spice racks, vertical storage above the ovens, flip drawers for sponges, and 2 convenient built-in trash compartments. 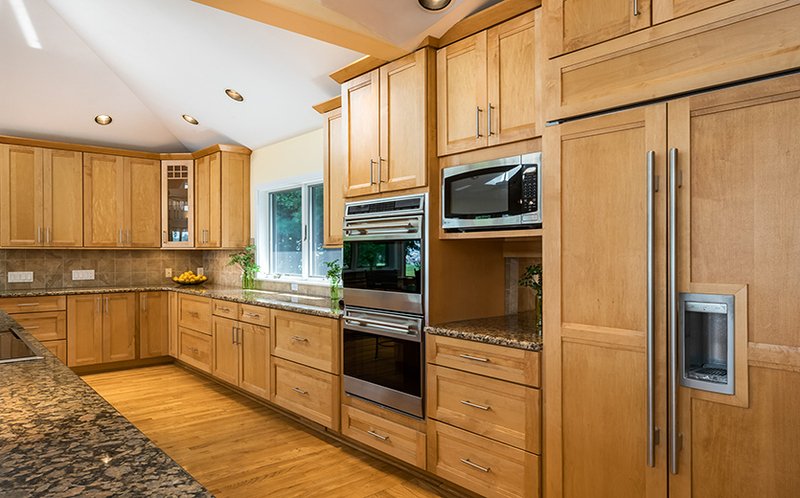 The upgraded appliances include a Sub Zero refrigerator, a 5-burner Wolf cook-top stove with disappearing counter exhaust fan, warming drawer, 2 Wolf ovens, one of which is convection, an instant hot-water faucet, and a Bosch dishwasher. 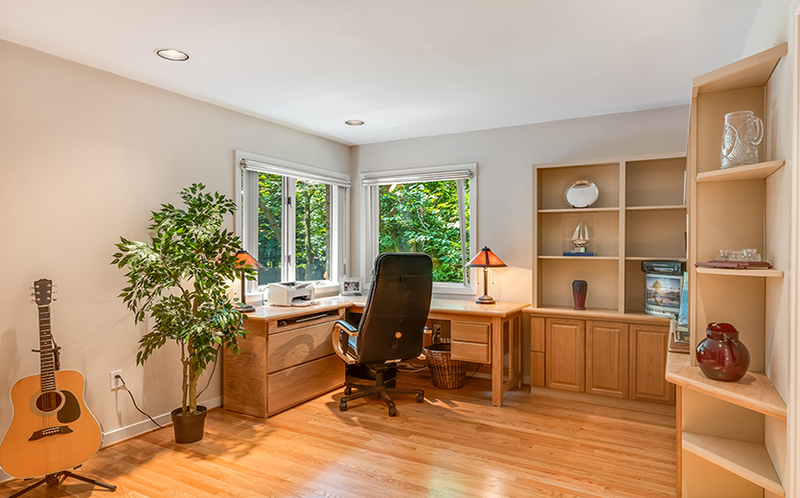 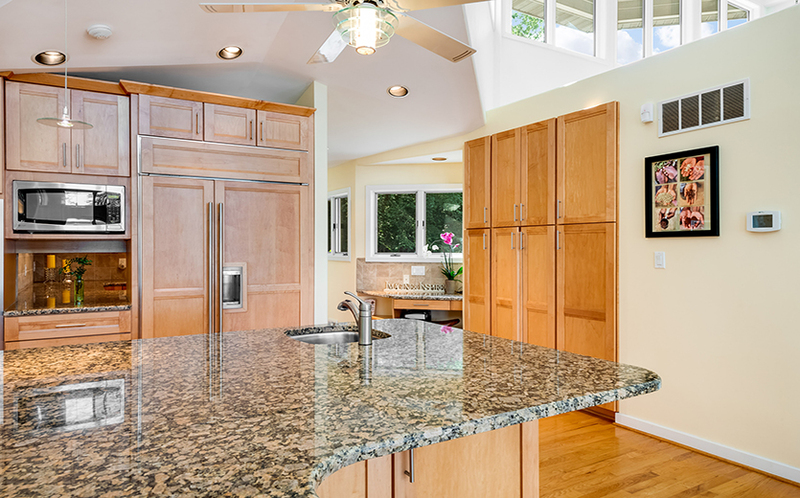 There is also a built-in desk with matching granite in the kitchen. 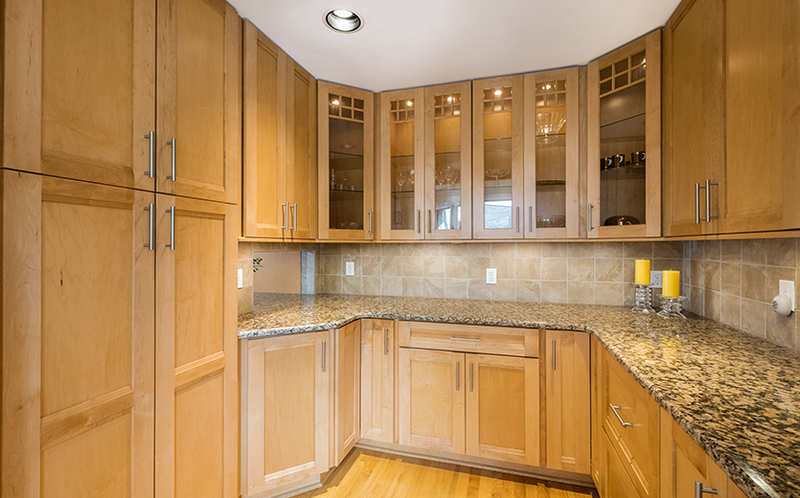 An expansive butler’s pantry has granite counters, a pass through window, and walls of storage and lighted cabinets. 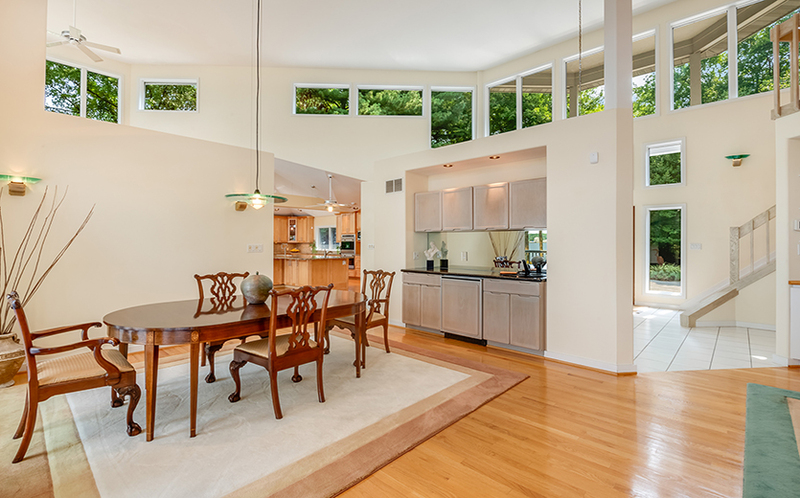 The kitchen opens to an informal dining area and family room both with hardwood floors and views out to the Bodkin. 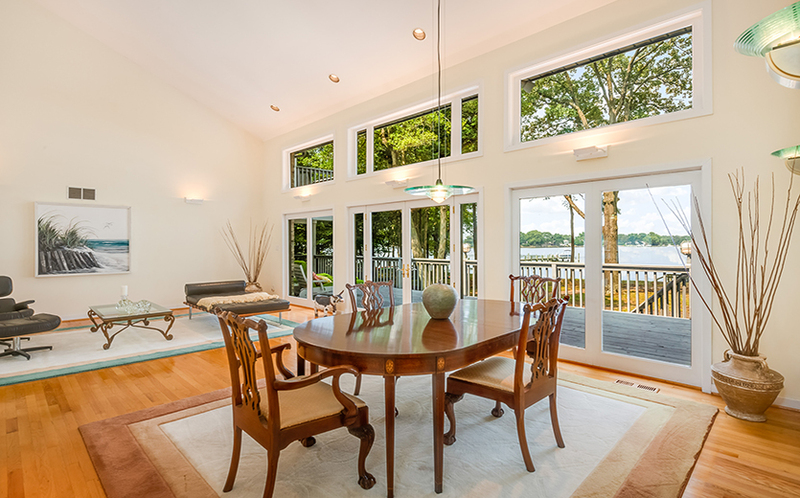 The family room has a gorgeous wood-burning fireplace and has access to the waterside deck. 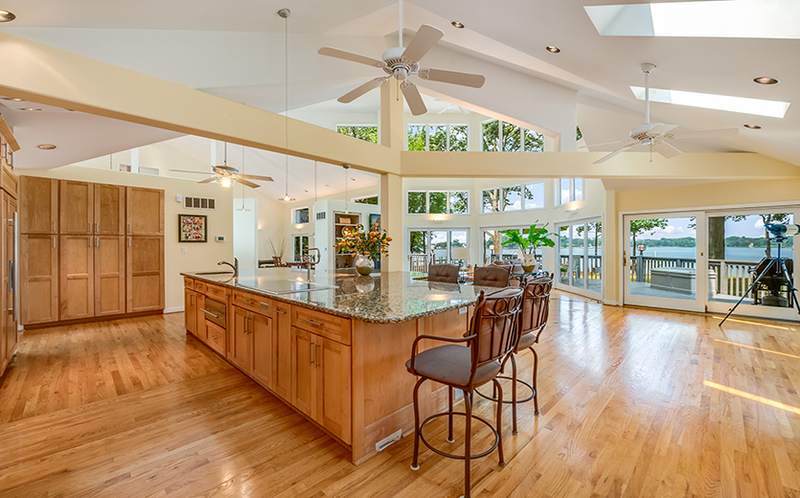 Just around the corner is a perfect space for more formal dining that opens to the living room, and has a wet bar with built-in storage, granite counters, and a Sub-Zero refrigerator with freezer. 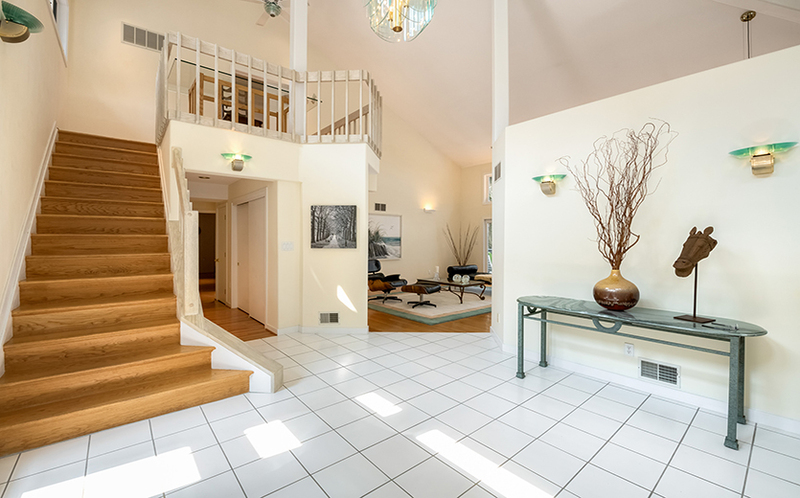 Down the hall there are three bedrooms and two full bathrooms. 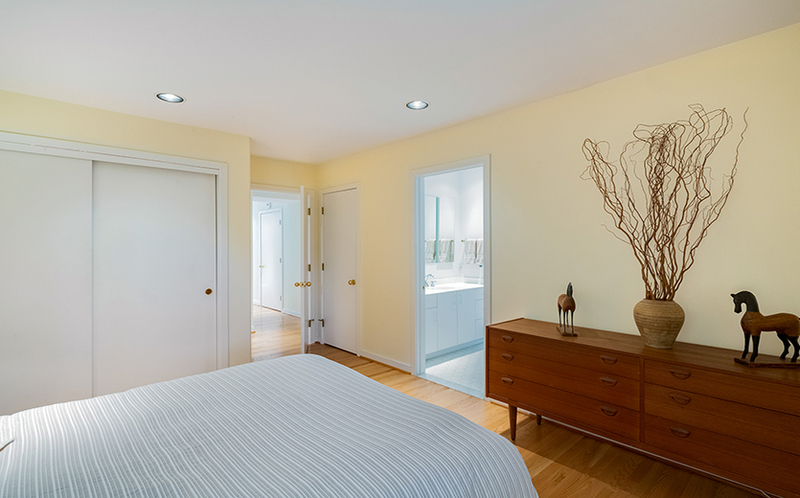 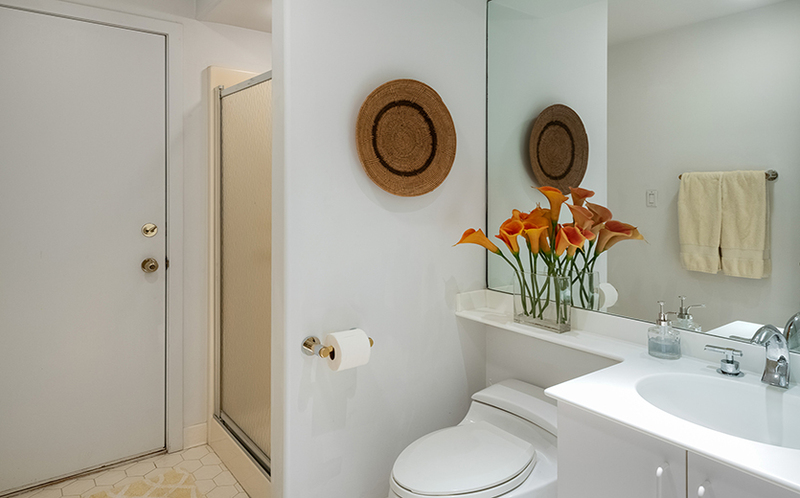 Two of the bedrooms share a bathroom and the third bedroom has a private ensuite bathroom. 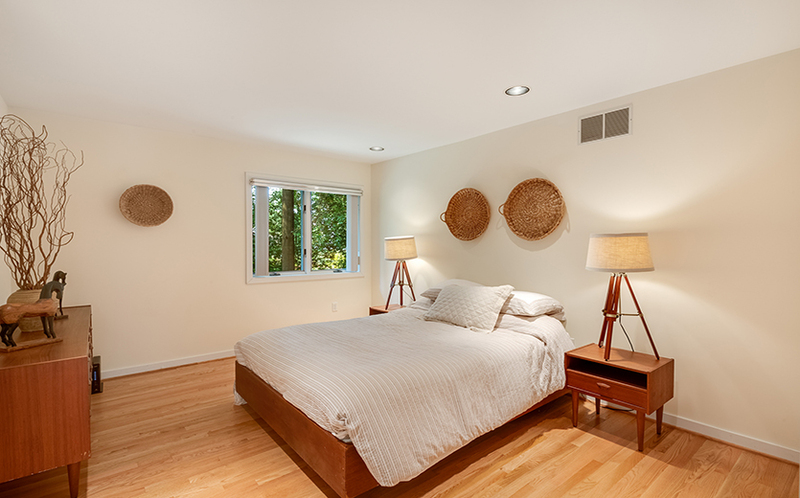 The third bedroom also has access to the waterside deck and overlooks the water. 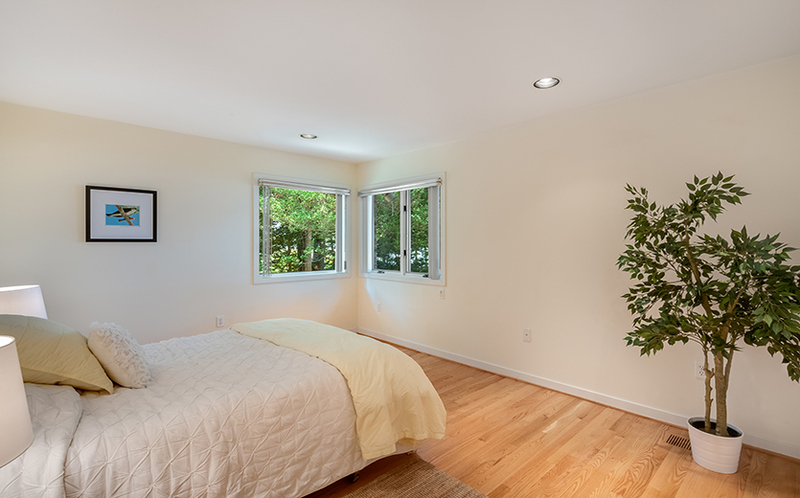 Upstairs you will find the luxurious master bedroom suite with hardwood floors and a vaulted ceiling. 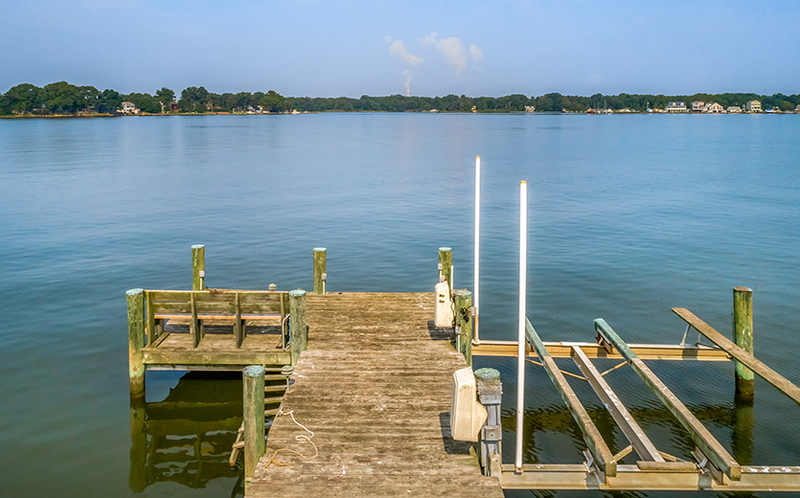 There is a private waterside deck that is perfect for enjoying your morning cup of tea or coffee. 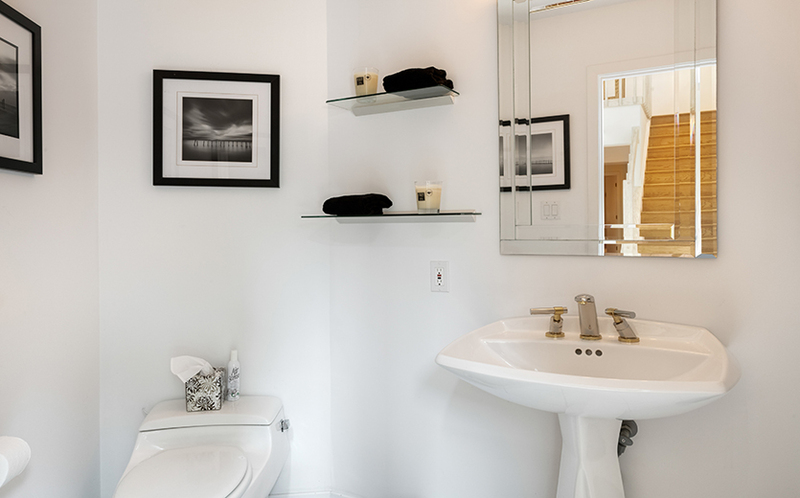 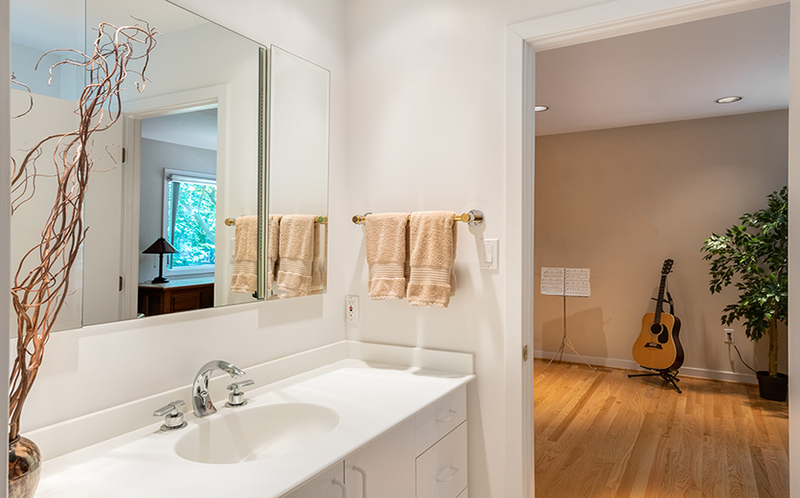 The master bathroom has a jetted-tub and a fantastic walk-in shower. 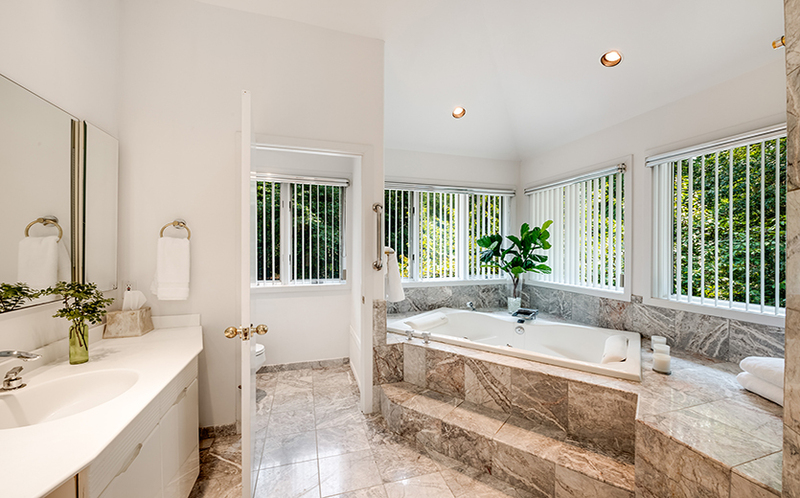 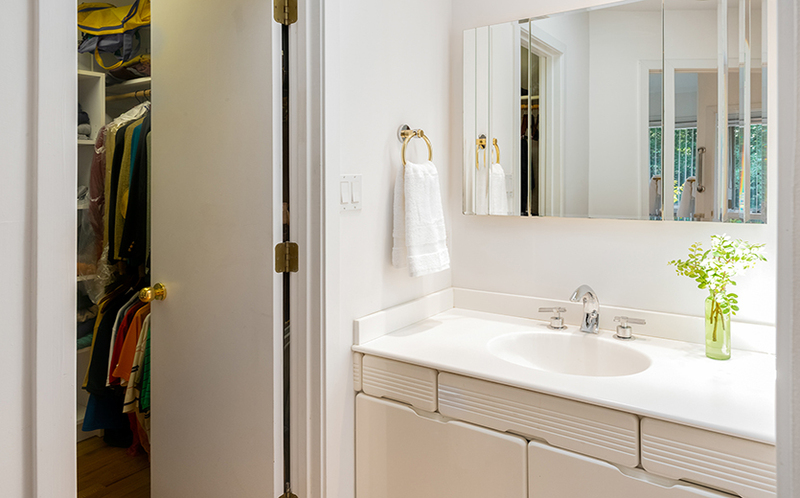 There are two separate vanities and beautiful marble tile floors. 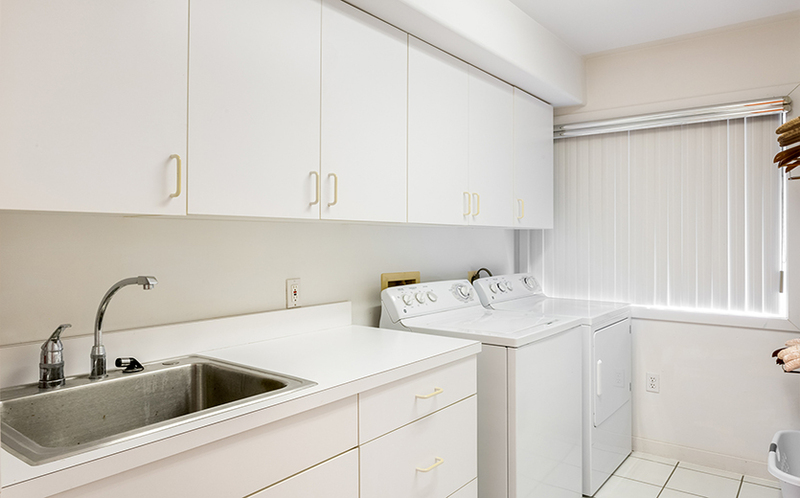 The suite is complete with two walk-in closets with custom shelving and a laundry chute to the main level laundry room. 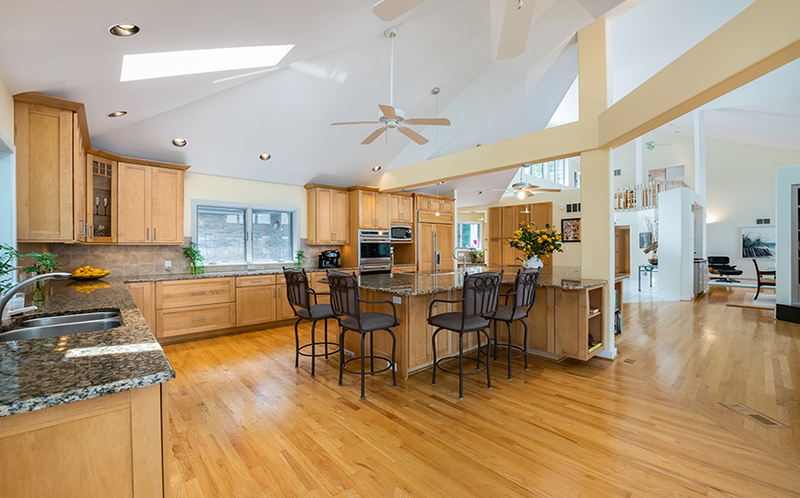 This gorgeous contemporary home has an attached 3-car garage with a utility closet and wash tub, and a spacious shed built to mirror the style of the home. 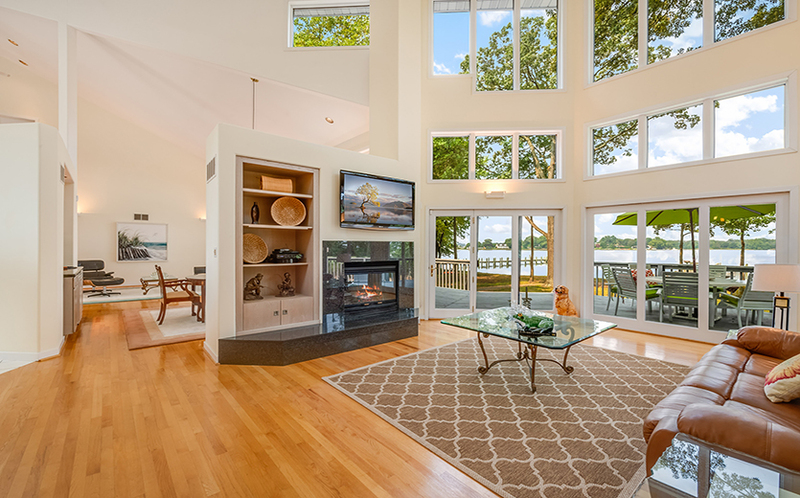 The details throughout this waterfront oasis are unparalleled, including the curved trim detailing throughout the main level and the versatility the open floor plan allows. 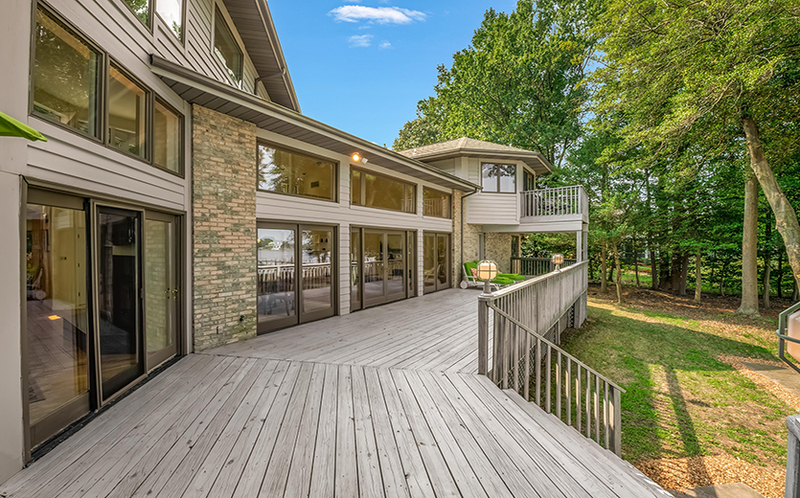 The tranquil setting that this home offers will make you feel like you are on vacation all year round. 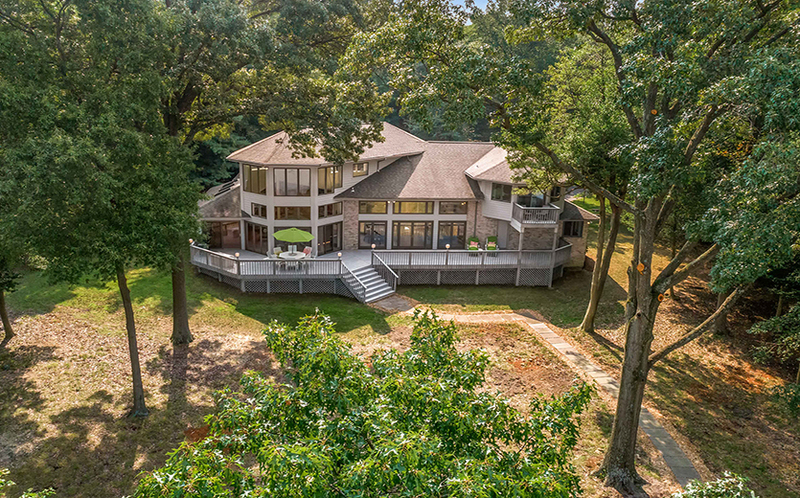 Watch the Live Video Tour to see all the details! 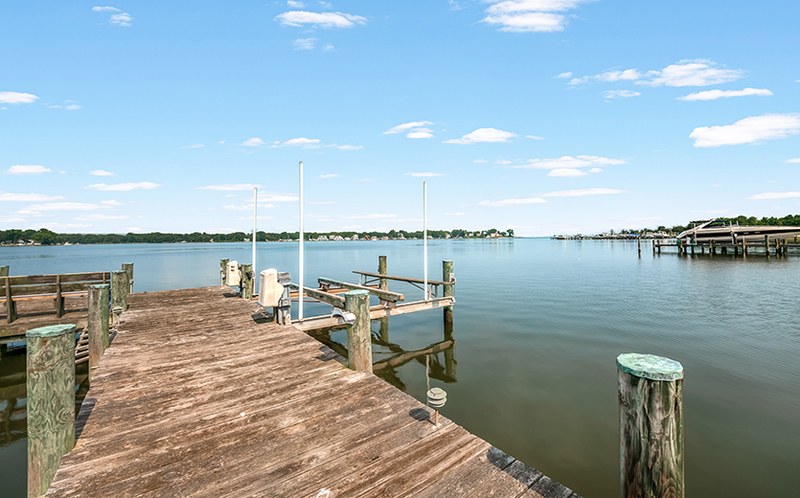 Call the Waterfront Experts to arrange a private tour at 410-266-6880.